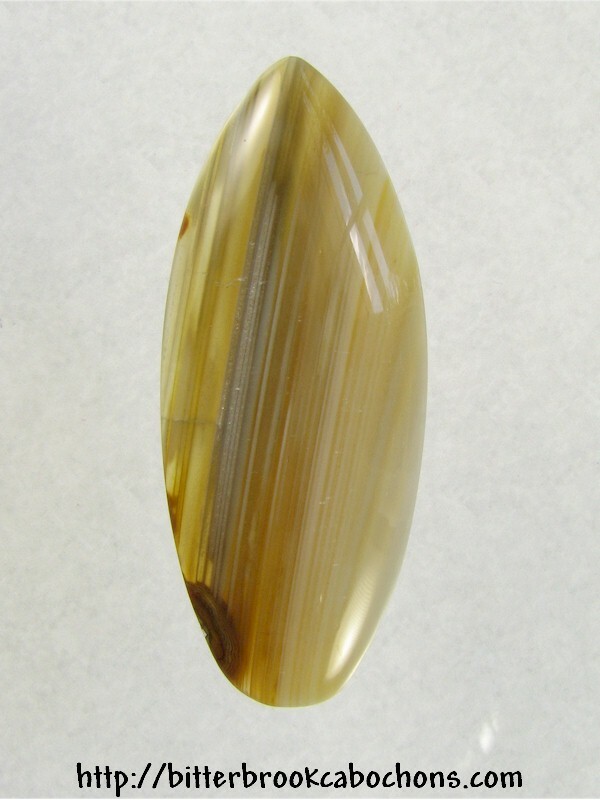 Nice freeform cut agate cabochon. The dark spot at lower left has a weakness right on the edge, but still a pretty piece. Dimensions: 51mm x 21mm x 5.5mm. Weight: 44.00 carats.